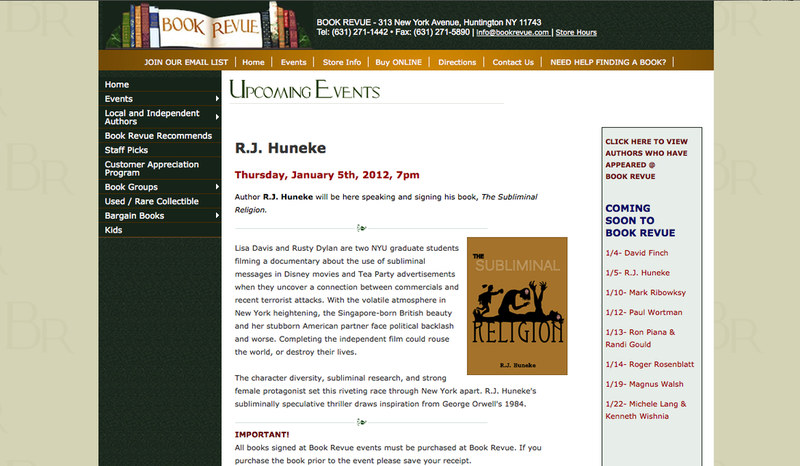 See the Amazon.com Author Page HERE. 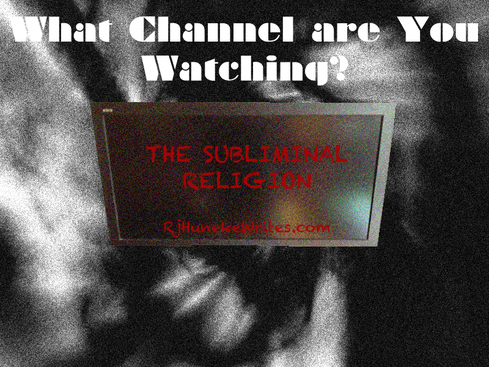 THE SUBLIMINAL RELIGION by R.J. Huneke was officially released on December 1, 2011. 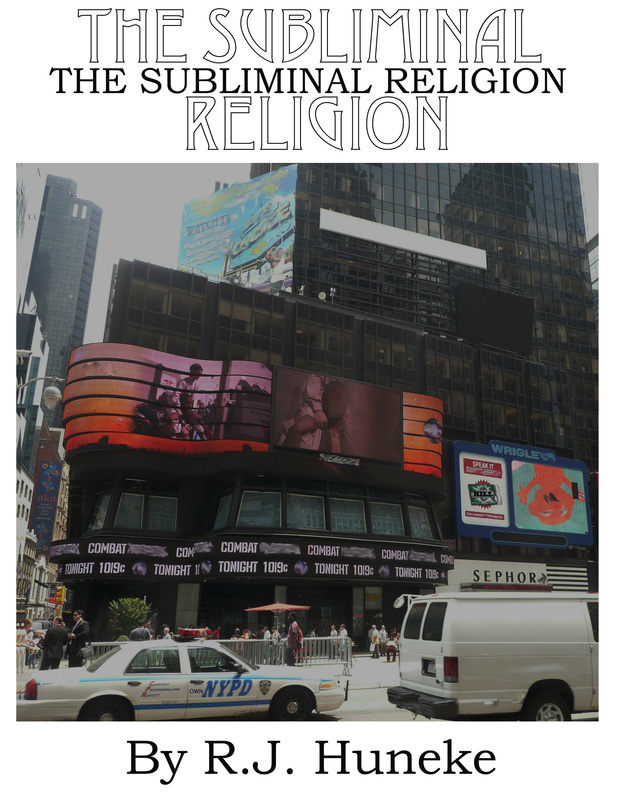 _THE SUBLIMINAL RELIGION is a dystopian speculative thriller involving subliminal messaging, Disney, the Tea Party and two young film students trying to avert disaster. A trailer, Facebook page, and more news will follow . . .